A home is your castle and should keep your family safe from outside danger. However, it’s even more important that living there isn’t a risk in itself. All properties will encounter a few problems over the years. In most cases, these will be minor issues that can be fixed by any DIY enthusiast. Many of these can be left until you’ve got the time and resources to find a solution. Sometimes, though, a problem requires an instant fix. Leaving these issues could put the property, and your family, at risk. Here are three home complications that cannot be left alone. It doesn’t matter how nice your home is if the foundations give way. The surveying of a building’s foundations is one of the most important aspects of buying a property. There’s a good reason for this and it’s vital that you keep your eye on them forever. If you suffer a major problem, it will cause damage throughout the property and could cost you thousands. If you’re not certain, it’s always best to have the building analysed by a professional. You’ll either find the fault, or gain peace of mind. Either way, it’s got to be better than letting an issue get worse. As they say, a stitch in time saves nine. Pier and beam foundation repair could save you vast amounts of time and hassle. Be warned, though, this is a job for the professionals. Even if you consider yourself a DIY expert. Besides, getting it wrong could invalidate insurance. Similarly, a problematic roof could bring risks to everything below. Dripping water could play havoc with the electrics. Or if things get really bad, it could see part of the building collapse. The roof also plays a major factor in keeping the home insulated. Leaving an issue will result in major damage that requires big money to fix. In the meantime, those same problems mean that your heating bills are slowly increasing too. If the roof does need fixing, it could be worth considering a new one altogether. Changing style may bring improvements to the home. Moreover, it could increase value. Working from the top down is often the best method in life. The roof is a crucial part of your home. It’s imperative that you keep it in good condition. It would be easy to dismiss the guttering as a fairly unimportant part of the property. Think again. Issues with the drainage could result in huge repercussions. A dislodged gutter could redirect water straight onto walls. Before you know it, you’ll be faced with damp and mold. Not only does this affect the property, but it could also potentially harm the health of your family too. Nobody wants to see a room become uninhabitable due to mold. Besides, the stench can quickly take a toll on the entire property. 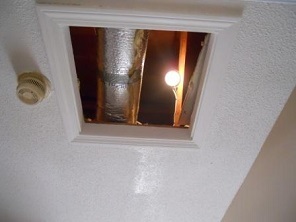 No homeowner wants to be dealing with these problems. As with many things in life, prevention is easier than rectifying an issue. If you notice a potential fault, have it fixed immediately.